Do you clean on occasion but never get the time to hit every room at once? Want to spend more time enjoying all the food, entertainment, and outdoor spaces available in Portland? That is what we at Clean Arrival are here for and our recurring standard clean service may be perfect for you. 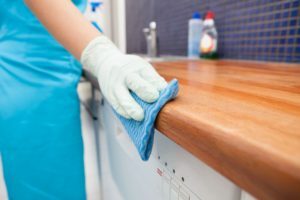 We understand that it takes time and effort to clean your home top to bottom, time that you could use to enjoy the city with your friends and family. With the flexibility to schedule recurring house cleanings on a one-time, monthly, biweekly, and weekly basis, we can find a convenient and consistent schedule to fit your needs. How do I know a standard clean is right for me? We don’t require deep cleans for first-time visits like the majority of cleaning companies do. That being said if you’re on the fence about the type of service you’re looking for, we do recommend a deep clean. Scheduling a deep clean means our cleaners have the ability to take the additional time and effort to make sure we meet all your needs. As a result, you get to start fresh with your home maintenance and we become familiar with your unique home at the same time a standard maintenance clean can be a great way to save money and still get an exceptional clean. 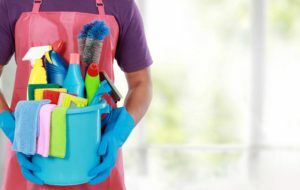 If your house is already organized and up kept, but you could use a helping hand on a regular basis a standard recurring house cleaning is the way to go. What’s included with a standard clean? To make it easier for you to pick the right service for you check out the list below to see what areas of the house we actually clean. Don’t see a service on the list that you’re looking for? Try checking out our deep clean for our most thorough home cleaning service.We also provide a few extra services that you can select when booking to customize your clean. If you look through our options and still don’t see what you’re looking for always feel free to contact us directly. Want to see a side-by-side comparison of standard and deep cleans? Check here. *Please note that wastebaskets will be emptied by request. Please inform cleaners of the location of trash to be emptied as well as the outside garbage bins or dumpster.